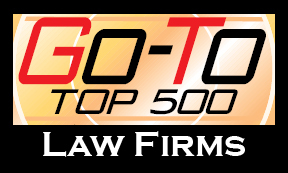 For the second year in a row, GableGotwals has been selected as a Go-To Firm for the top Fortune 500 companies. The selection is based on data gathered from companies’ General Counsel in addition to various key databases. According to Corporate Counsel magazine, less than one half of 1% of all law firms are included in the magazine’s “Go-To Law Firm” list. The list is limited to those law firms that general counsel at the world’s leading 500 companies rely upon routinely and for the most critical matters. For 2012 the firm was selected based on Labor Litigation work with our client, Aetna Inc. In 2011, we were selected by Conoco Philips, International Business Machines (IBM), and Oneok all in the area of Litigation. Congrats!